George Osborne’s Budget for 2014 was billed as one “for savers”, by the Chancellor himself, with an ISA and personal tax allowance increase grabbing the headlines. Changes to the rules surrounding pension pots mean that no one will need to buy an annuity and will give them the right to “face to face” advice. Despite the Chancellor’s positive take on the economy, which he says is growing faster than the US and Germany, Labour were keen to address the “cost of living crisis”. Leader of the Labour party, Ed Miliband, said that on average Brits were £1,600 worse off under the Coalition government. It remains to be seen whether or not the announcements will go far enough in improving the economy and the standard of living as a whole. The overall ISA limit was expected to increase in the 2014 Budget but Mr Osborne’s announcements will mean larger raises to the limit and how these savings operate in general. The current ISA limit stands at £11,520 (this will increase to £11,880 from 6 April) and can be combined between a cash ISA and a stocks and shares ISA. However, from 1 July 2014 this will increase to £15,000 and will allow savers to merge their ISAs into a single one. While the increase is significant, it remains to be seen how much benefit savers will get out of the new ISA allowance. Current record-low interest rates mean that even the best ISAs on the market will not give most savers more than £25 extra. Following pressure from the Liberal Democrats and deputy prime minister, Nick Clegg, to raise the personal tax allowance to £10,500, it was little surprise that the Chancellor put this in the Budget. Meanwhile, the threshold for the 40p income tax will continue to rise at a relatively slow rate, which is likely to see more people pay the higher rate of tax than before. Labour claim that around 1 million more people will pay tax at the higher rate under the Coalition’s plans than under their own. Mr Osborne reiterated plans to extend the Help to Buy equity loan scheme to 2020, among other measures which he says will allow 200,000 new homes to be built. However, it’s unlikely this will be able to keep up with demand. London, alone, “needs more than 800,000 new homes” by 2021, according to London Councils, which represents the capital’s local authorities. Following the recent flooding disasters, £140m has been reserved for flood defences and an extra £200m pothole fund has been created. The Chancellor outlined plans for a new Pensioner Bond with interest rates of 2.8% on one-year bonds and 4% for three-years, available from January 2015. The most significant changes will come in the annuity reform, which will allow people more freedom to choose what they do with their pension pots. Mr Osborne’s move comes in response to growing frustration around the requirement to buy an annuity and the inflexibility of the market. In other announcements, the welfare cap, which affects a range of social security benefits including maternity allowances but excludes pensions and Job Seekers Allowance, will be introduced from 2015, starting at £119bn and rising in line with inflation. This cap will affect those receiving housing benefit and disability payment, among others, going into the next Parliament. Labour has said that they plan to introduce their own welfare cap, lasting three years, if elected in 2015. No pub will reduce there prices by 1p so this is a political move not a real reduction. This budget gives to those who already have and NOTHING to those of us suffering fuel poverty, food poverty etc. If you are a drinking gambler you have done well. For those who do not have enough to save ISAs are an irrelevance. Nice to see changes to ISAs and increases in amount which can be saved: particularly nice if you are one of those fortunate people who can afford to save £15000 a year. What is it with these out of touch not in the reel world people. What pubs do they use if they think the publican puts a penny on or of a pint. For years now it as always gone up at the rate of 5p if you are lucky but normaly 10p, please get in the real world. Yet again the subject of credit card interest rates were not addressed. The excessively high rates are aiding and abetting the current rate of increasingly indebted households. With a bank rate of just 0.5%, credit card rates of 30-40% plus is utterly disgraceful. If anything needs investigation it is the increasingly high interest rates which these banks are prepared to demand from customers. This is an oversight on the part of ALL governments not just the current incumbents. A reasonable budget within the UK constrained economy – and especially for seniors ! Why wasn’t the anachronistic and unfair stamp duty on house purchasing banding system reformed? Yet another opportunity lost. Threshold should have been increased much more for those paying 40p/£ – allowing families to take home a small amount more. Some breweries have already increased their prices pre budget. This 1p reduction will not mean anything. An extra £500 untaxed is just about OK but won’t make much of a difference and will probably be taken from somewhere else. Labour of course would have done so much better but that is so easy to say when you don’t have to do it. We’ll have to wait until the next budget for the real giveaway. Great to see the ISA allowance has been increased, I can now save more of my hard EARNED money tax free. National Insurance should be scrapped completely as more and more large companies (like the banks) give people (especially in call centres) short hours contracts in order to remain below the threshold for employer contributions. This saves them a fortune every year and just means they technically employ more people who earn less than a living wage instead of giving them proper hours and paying proper employer contributions to National Insurance. More incentives for us to save. Those that want labour back in, when you’ve had a car smash and it’s half way through getting repaired you don’t give it back to the idiot who smashed it in the first place. Excellent, well done George. I can now join all of my ISAs together into one pot ready for my planned exit from the UK using the money to buy property in eastern Europe. Bingo? What’s all that about? ISA increased to £15k – OK if you got £15k each year to invest – most don’t. More support for families with children to be paid for by those that don’t. Raising the tax threshold to £10.5k – good for those earning over this but does nothing to help those that don’t. Cap on welfare spending – excludes pensioners and Jobseekers allowance so means it will be targeted at the sick and disabled – immoral measure by an immoral Government. Extending support for home ownership when a cap on private rent levels would be more beneficial – reflects the misguided home ownership is best ideology. Overall the budget disproportionally benefits the more prosperous and punishes the most vulnerable and poorly paid in society. A typical Tory budget that transfers the wealth upwards and leads to increased social inequality and higher levels of social and economic deprivation. I for one am not impressed and expect the increase in tax threshold to be wiped out within no time. I think that there will be massive protests as the benefit cap becomes real and households are affected. Also the increase in tax threshold proves that above all the party is still chasing the middle class votes. I see real poverty and it effects everyday where I live and honestly there is only so much the people of this country will take. The poor out number those who have. it is time the voice of the masses was heard. cap welfare but allow migrants to come inand get immediate benefits…including child benefit for their kids and wives abroad….very fair to cut the income of the longterm handicapped and the disabled who have to spend more on energy costs proportionately than those inwork, oncluding migrants! Drink 250 pints get one free. Priceless. Quote of the day from George “Silver spooned, millions inherited” Osbourne” We’re all in this together”… Oh really George?… Where is it you actually sit on the lines equality? I hope that the annuity measures will be backdated for the last couple of years, as those of us who have had to buy an annuity lately have received pitiful pension payments to date, shame on the pension providers if they do not reimburse us who have saved hard over our working lives and been shabbily treated at the end. What a load of tosh. Stop giving our taxes to other countries for one. Abolish stamp duty under £300,000. Decrease NI contributions. But for all you lucky people out there, WATCH for the small print and hidden taxes that will come out in the next few weeks. The minimum wage needs to be a living wage and the imbalance of benefits given to those with learning disabilities is obscene in relation to the benefits OAP’s receive in the form of pensions and allowances. The disposable income LD people receive and the wage paid to those who care for them is miles apart and unrealistic. The government should look into bank accounts of those receiving large packages and see how public money is being wasted week in week out when it could be distributed better and in a fairer way. It is not normal that someone who receives benefits should have £200 – £300 per week disposable income while the elderly suffer? Better than the spend, spend, spend the Labour goverment did and left the famous note in the treasury office. “Good luck nothings left” People seem to forget this!. We still need to be careful and this budget does it. Plenty of interest free deals on credit card transfers so don’t understand that comment! and whats wrond with the old saying “if you can’t afford it don’t buy it” the last government should have taken heed of this!. As per usual this condem goverment have quite literally condemmed the poor to stay poor and on the breadline where as their freinds who have the money are just sat their with a big smile on their faces as usual with a conservative govt. We will never be any better off whilst this ridiculous coalition stays in power and its high time Nick Clegg and his cronies realise what a big mistake they made, the people will never trust the lib dems again after this fiasco. at least with labour they work for the working man most of their MPs come from a working background and understand the working mans needs. all i can say is ROLL ON 2015 And the general election so we can put labour where they already should have been if clegg hadnt made the biggest mistake since the lib dems were formed. George Osbourne just needs a good spin Doctor on this one to get him away. Anyone can see its just a makeover budget !! Disappointed that pensioners cannot earn more before being taxed. One needs to work just to keep above water. 15k should be the threshold for the ones who are prepared to work. A Very Good Budget, Helps those who deserve it, workers reap the wewards. Could I remind David, who clearly has a short memory, that it was a Labour Government which left the economy in such a mess. Ed Milliband will be no different and no more efficient than Gordon Brown et al. As usual no benefits for couples who work.. Sick of paying tax and not getting anything in return. Fed up with all of it!!! Bank base rate is 0.5%. The savers are unlikely to benefit much as ISA interest are fairly dismal unless one wants put the savings away fixed for about 3 or more years. Those above the benefit line and yet below the £10500 tax allowance, are as usual forgotten. No perks,one way or another! Yet again the pensioners Tax threshold has been ignored. Every one else has had an increase for the last 2 years .We are now £1000 worse off for tax purposes ! ! ! I can not see where the everyday working man or woman benefits here. If you don’t want to pay the credit card charges, don’t use it! As a pensioner of 76 and a non tax payer i do not think the budget helps me. There appear to be some benefits for those with a bit of money, such as the ISA changes, the Help to Buy scheme, cheaper long-haul air fares and not forgetting the bingo tax which has seen an increase in the share prices of Mecca today. For the less well off precious little. The annuity changes could well be a problem in the future if pensioners take the money, splurge then end up dependent on the state. And who could blame them? However, the sheer cynicism of the inheritance tax changes for emergency services members who give their lives in the course of duty is breathtaking. How many of those would have an estate in excess of £325,000, which is the current threshold? Very few, I’d wager. Anything is better than the last lot. They got us into this into this mess. It’s going to take some time to get us out but we are doing a lot better than some of our E U neighbours. There are always winners and losers in every budget. Thank goodness! A Bond for over 65s at last and a bit of an improvement in the ISA. As a pensioner I would be over the moon to have an income of £15,000 a year – let alone be able to save £15,000 !!! Raising the tax free allowance by £500, big deal. It would be more to the point if the Chancellor dealt with the eye-watering interest rates charged by the big banks. No help regarding escalating energy prices and corporation tax for small businesses remain the same so little help for them to survive in this economy. However, beneficial to raise personal tax allowance. Improvements for those who have the funds again. Penalises the middle struggling classes still. But could have been worse. Doesn’t help me much what gains I make will be uaed against the cost of living rises. £15000 ISA limit !! Who has the money to put that away a year. The RICH get RICHER yet AGAIN !! I am disappointed with this poorly written article on such an important subject. There are many omissions, repetitions and a lack of explanation. The subjective comments are unhelpful. People have such short memories. We have this massive debt because of Labour’s incompetence , and now they are telling others how to put things right, and unbelievably, it appears some gullible people will vote for them! The Chancellor can (and should) only spend what he has. Look at your daily life and tell me if ANYTHING will actually change after this Budget. Will you eat more? Drink more? Go out more? Feel happier? Feel sadder? It has always been thus but people like to think it makes a difference. Absolutely not excellent budget for a pensioner who has had to live on savings and doesn’t have enough left to put aside, thanks to the cost of living and rate of inflation. Until they increase the inheritance tax limits , why save? The workflow is save , buy a house, go into a care home, and let the money go back into the NHS…..
Or spend all your money and let the state provide your care . I know someone who makes himself intentionally poor so that the state picks up his care.He takes 12 holidays a year. For all those who think we would be better off under the two Eds what short memories you have. Labour economic miss management, simply flinging borrowed money at issues instead of careful reform helped get us into this mess. Im 41 and its twice in my lifetime the Labour party has nearly broken this country economically. 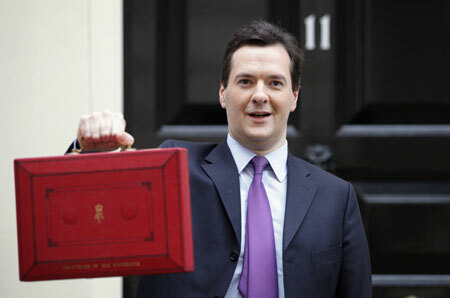 This budget is as good as the chancellor could have made it. Some more work is needed to bring housing costs down, but in this fragile global market i say ‘steady as she goes’! As a pensioner my tax code had gone down every year since this lot have been in power, a reduction of the tax code means paying more tax!!!! Its all too much ‘carrot and stick’ for my liking. The positives of this budget aim to win back the low earners and unemployed votes in time for the next election. The childcare ‘tax free’ idea does nothing for people like myself whom paid £6000 in eleven months from my gross wage of £21’000 as a qualified NHS employee. Lets vote them out next time please! I am not a politics follower but understand some of these elements, personally I have two views for those on Benefits those who have never worked will have a culture shock and feel those will be worse off. Those, who are on benefits because they have recently lost there job will manage (again goes back to a previous post, if you can’t afford it don’t get it) but with Bright House and other agents offering products on weekly payments and high % apr) agree this should have a cap as to what they can add. Personally, for me the budget does not affect me, learnt the hard way and can manage what I get, I save £20 PCM into a Cash ISA equally if I get more than my basic wage I will save the extra and just work with my basic. Personally, if Labour got back into Power would it be any different, or indeed any Party what would they do different. However, as part of the welfare reform I would like to see changes to disability allowance, and Carers Allowance. My own opinion someone who suffers epilepsy are they worthy of that. Equally, people who are claiming disability for someone who has a limp but can do everything a person can do without the disability. If the government were to take a more robust approach on these areas, I feel this would have a major impact on the economy. I think that this annual tinkering with the Budget is far too important to leave in the hands of poorly qualified Politicians. It means little to most people but enables the Party in power to utilise the budget to catch a few extra votes at the next election. Also, while everyone can be blissfully happy playing bingo, back in the real world, an increase in ISA allowance, oohh thank you George, havent got £15 to save, never mind £15,000! Why has there been no cut in foreign aid, or bankers bonuses, something for young people trying to buy a home, like a reduction in stamp duty. I have worked full time all of my life and paid my taxes, I was very ill for six months a few years ago, had no sick pay from work, couldn’t get a penny off the state because my husband works, we had to borrow money to survive until I could work again and I have only just paid it off! taxpayers have no choice how their money is spent, I dont mind mine going to pensioners, or genuine folk that cannot work due to disability, or those who are looking for work, or children or any such genuine need and temporarily to someone who is ill and unable to work for a short period of time like I have experienced, but no, they waste it on all sorts of rubbish, send billions abroad, and encourage people to live on and work the benefits system and play bingo! Raising the Personal Tax Allowance is the best way to lift people out of poverty. Every little helps, but more please. Looking after their own as usual and don’t give a hoot about what they call “Hard-working families”, that’s all clap-trap from the Haves. Yes Labour put us in this mess to begin with, as a nation we should pull out of the EU, stop mass imigration, only allow benefits only after 1 year of paying into the state, as with other european countries and Australia, no one has the right to walk in and expect free hand outs, pull or troops out of other countries, these are not our issues, apply sanctions.stop sending millions in aid when we are struggling to get our own people of the streets, charity begins at home, too many good doers lobbies getting there own way, this country used to be great, europe used to listen, now we are just a laughing sock in their eye’s, we owe them nothing, they owe us every thing, make sure our pensioners who have for many years paid into the pot get what they are entitled to stop the lazy welfare handouts, if you want money and a better living, work for it and don’t just expect it to be given on a silver platter as always, that’s if you have any sense of pride, this country should once stood proud, it meant something to be British, not just a country of free handouts to those looking for an easy life, Yes fuel duty should have been reduced, taxing the rich should be higher, stop over spending and giving the tax payers money away to european countries in aid for the debt ridden Euro,not to mention the benefits members of parliment get to buy second homes and furbish them with tax payers money, then when sold they keep the proceeds, this should be given back to the state or held if another member requires it, but in all honesty these benefits should be scrapped. i have not seen a wage rise in 6 years, but have had my wages reduced, my pension cut, but i suppose i am one of the lucky few that still have a job, so when i hear people complain of a 1% increase, for me this would be very much appreciated, would be nice to have an increase instead of cuts so the increase in the earnings threshold is most welcome, if people want to live in the UK, they must first contribute into it before claiming free handouts, and no worker in this country should be allowed to claim income benefits for their family living in another country, claim this in another country and they will laugh in your face, not so in the UK, thats what makes us an attractive country to live in, government gets your heads together, stop this rediculous handout scheme setup by the labor government, it’s time to become that great single nation we once stood for, certainly not be told by the likes of Brussels or Germany for that who we allow in the UK or how we govern ourselves, give us the right of speech and allow us to vote on a referendum, we run the UK not Europe. I agree with British Citizen; Labour did put us in this mess. To get out we need to be bold, really bold. England as a nation should pull out of the EU to control our borders and regain our ability to rule and regulate. We should have a green/white card system, allow benefits only after 1 year of working and paying taxes, as with other european countries and Australia. We should make every effort to agree a special trading relationship with the Commonwealth. I say England because Scotland may want to go it alone and this may encourage Wales and Northern Ireland to do the same. But all would be welcome to stay with England. Well next May Labour will be back in again, hopefully with the Lib Dems to keep a lid on their prolific spending and borrowing again. They will undo all the good work to date and we will go on living beyond our means as always under Labour, after all they have actually managed to wreck the economy every time they have been in power since 1945. I know because I am 79 this month. I remember the IMF bailing us out and telling Labour to sort out the way they run the economy. Mortgage rates of 15% yes not 5% actually 15% and inflation well over that, wrecking the savings of the prudent. Until we get away from the something for nothing attitude we will get Labour back. The world does not owe us a living and neither does the government. We have to work harder and be more competitive. Otherwise our great grandchildren and theirs will be paying back the money. Why has pensioners tax free allowance not increased again. My personal allowance 2014/5 is £10,500. It was £10,500 in 2013/4 and 2012/3. The meagre increase in OAP is now being taxed. Why cut anything on ” Bingo”? If you can afford to chuck your money away on silly games you deserve to pay extra tax! Personal allowance up £500! Big deal! As a pensioner, I’m being taxed on my meagre personal pension. I was taxed on it when I earned it and saved it, now I’m being taxed on it again! Where’s the increase in pensions? In real terms we are much worse off! Pensions low, interest rates lower, petrol and diesel prices risen, energy prices spiralling out of control, postage prices rising again. Come on government, you are risking losing to Labour!